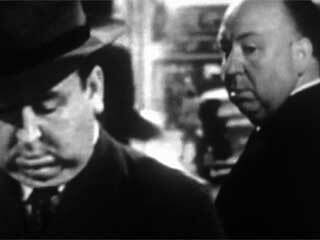 A clever movie-long montage mixing Alfred Hitchcock with scenes pierced from his own film and television work, using the Cold War as background, “Double Take,” directed by media artist Johan Grimonprez, is also a meditation about the period when the British thriller master directed some of his best work, such as “Vertigo” (1958), “North by Northwest” ((1959), and “The Birds” (1963). Known for the mischievous habit of playing cameos on his own movies, he went on to host the decade-long TV series “Alfred Hitchcock Presents,” starting in 1965. Featuring famous look-alike Ron Burrage. Now out in selected screens. 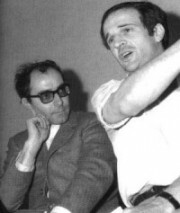 The release of “Two in the Wave,” a new documentary on the tumultuous relationship between French filmmakers Francois Truffaut (1932-84) and Jean-Luc Godard (1930), is a great lead on to revisit four works of these giants of the French post-war industry: Truffaut’s “Fahrenheit 451” (1966) and “Mississippi Mermaid” (1969); and Godard’s “Alphaville” (1965) and “Weekend” (1967). All four pay open homage to American movies of the 50s and 60s, a passion shared during their years at the Cahiers du Cinema magazine and the Nouvelle Vague movement. Not being their filmmakers’ most celebrated or well known, these four still delight movie lovers of any age as genre exercises and visual treats. “Fahrenheit” and “Alphaville” mirror the paranoid Sci-Fi B-movies of the 50s. And “Mermaid” and “Weekend” feature two fantastic screen sirens, Catherine Deneuve and Mirelle Darc. Any of these films beat most of the expensive assembly-line fare out there these days, or at least the price of a small popcorn and soda. Go for it. 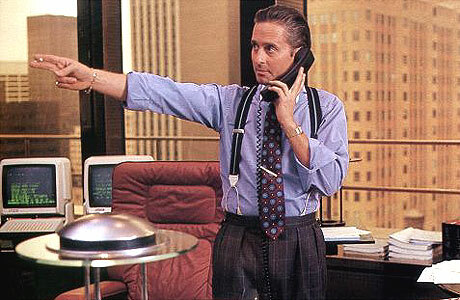 • WALL STREET (1987), by Oliver Stone. Intrigue. Drama. Greed. How far we got? We get to the sequel that’s just been released, that’s how far we got. • TALES OF ORDINARY MADNESS (1981), by Marco Ferreri. Drama. Ben Gazzara‘s career-defining turn in arguably the best film adaptation of Charles Bukowski’s stories. • PARALAX VIEW (1974), by Alan J. Pakula. They’re out to get Warren Beatty in this political thriller. A week as good as any to revisit three under appreciated Sci-Fi classics. Grab your popcorn and enjoy the ride. * THE MIRACLE MILE, 1988. A harrowing view of annihilating weaponry going awry. The discreet cast gets out of the way of the incredible plot. But it’s fun watching Anthony Edwards of Monk and other TV series fame. 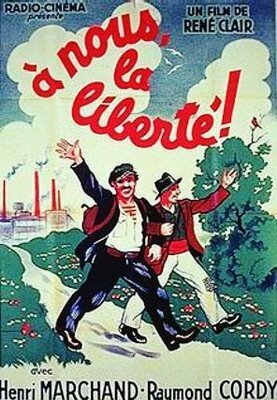 * SOLAYRIS, 1972. The original, introspective drama by Russian master Andrei Tarkovski, it’s a meditation on memory and loss, with a mysterious ocean playing a supporting role. Actor Donatas Banionis had previously played Spanish painter Goya in a biopic worth seaching for. * DOPPELGANGER, 1969. Fascinating study about a haunting possibility that we may as well be the “others.” Roy Thinnes became known for previous 60s TV series The Invaders.